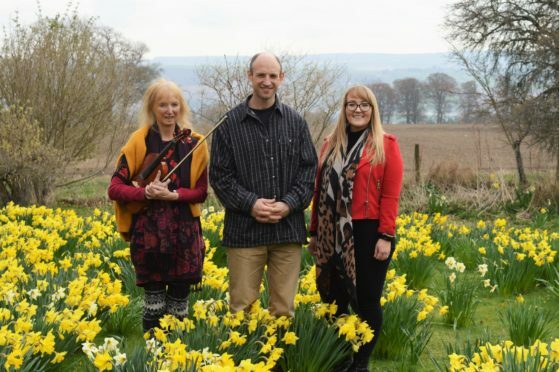 Mental health charity Birchwood Highland will benefit from a Daffodil Tea being held at the castle, the home of Clan Munro, later this month and highlights the indiscriminate nature of mental ill health. The annual event has supported many causes over the years – but this year is the first time that mental health has been the focus of the Munro family’s charitable efforts. In 2004, the castle’s owner, Sarah “Alpha” Munro’s nephew Evelyn was diagnosed with schizophrenia, and took his own life. In 2018, his brother, Orlando Von Einsiedel, an Oscar-winning film director, made a film about his brother entitled ‘Evelyn’. The well-received film was partly set in the Highlands and was made to create awareness of the importance of communication, and to de-stigmatise the taboos surrounding mental health. Mrs Munro said: “It has taken years for the family to talk openly about the tragedy. Established as a charity in 1987, Birchwood Highland supports people experiencing mental ill health through housing support support packages and operates Scotland’s first and only residential mental health recovery centre in Inverness. Birchwood Highland’s Màiri Maccdonald said: “We welcome the Munro family’s efforts to raise awareness of and tackle the stigma that often surrounds mental health issues. Featuring stalls selling everything from local art and home wares to jewellery and clothing, the afternoon will also include live music from the Highland Swing Band and the Kiltearn Fiddlers. To keep younger attendees entertained, there will be a number of activities including face painting and an exciting Easter egg hunt. Attendees are also encouraged to pick daffodils from the Castle’s gardens to take home with them. Taking place from 1pm until 4pm on Saturday April 20, entry is £3 and parking is available.